Mix to combine the vodka, agave, cranberry juice, and soda in a 2.5-litre-capacity jug. 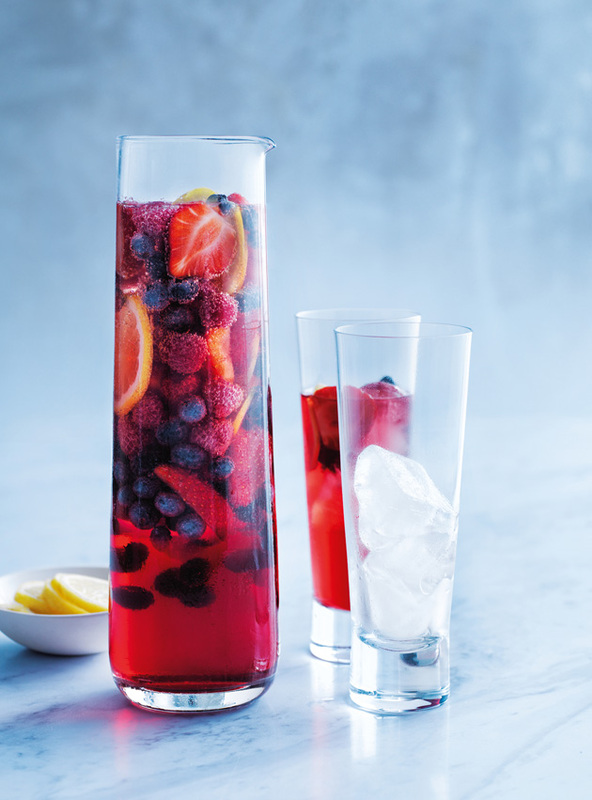 Lightly crush the strawberries and add to the jug with the blueberries, raspberries and lemon. Pour over ice to serve. Makes 1.85L.